Let me tell you a little story about my adventure trying to stay alive in The Forest, a fantastic new open world survival game that is currently the top-selling game on Steam. This isn’t a happy tale, but I hope it gives you a good sense of what playing The Forest is like. In any case, the tale begins like this: there I was, sitting on a plane, trying to kill time by watching a movie or something. Somehow, I survived the impact — but when I opened my eyes, this guy was standing in front of me. I took a closer look at the survival guide and wondered if planes actually come equipped with these things. It also looked like I really needed to pay attention to the land to make sure I wasn’t picking up stuff that could be harmful to me. There was a bunch of luggage littered around the plane, and thankfully I could use my ax to open the locked ones up. 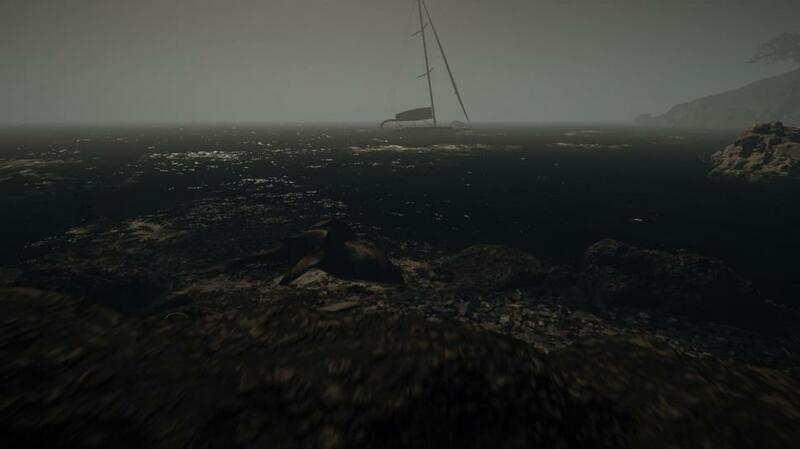 I was busy trying to salvage as much as I could, when suddenly I spotted a person off in the distance. I remembered that I had picked up some cloth, so I wondered if I could use it to craft a molotov cocktail. The survival guide said that I’d need logs for some stuff, so I tried seeing if my ax could whittle down some trees. Trees seemed to give me around 3-4 logs, which was more than enough to build some of the basic, basic stuff. That page kind of unsettled me, but I didn’t dwell on it too long before one of the forest folk got brave and approached me. These bodies apparently belonged to my fellow passengers, only the plane at the start of the game didn’t have anyone in it. The game informed me that since I was covered in blood from the caves, I needed to clean up so as to avoid infection. Before hitting the sheets, I did some light reading — just to see what else I could build. Did I mention that, in addition to my dingy little shelter, I had also decided to build a big-arse cabin? But then I looked back on my shelter and I saw a bunch of forest people, just sort of milling about. 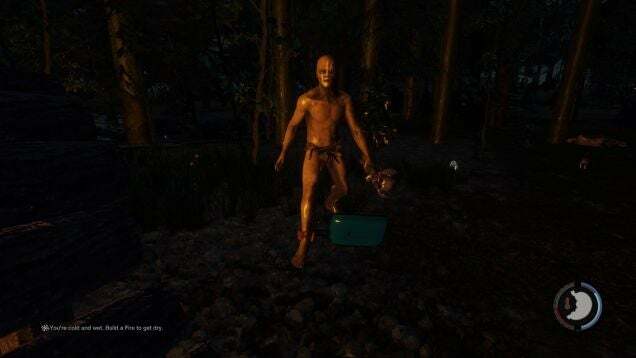 The Forest is a first-person survival horror game in which you have to survive on a forested island after you alone survive from a plane crash. As there is a huge number of files which are bound to be loaded for us to enjoy the game, loading takes longer. Nice job , I would suggest looking up some shading tutorials so the skins don't look so flat. Normally, in-flight food is the worst, but in this context, having it around seemed like a godsend: I was low on energy and my character was hungry. It looked like I could use this menu to craft stuff as well, but I didn’t really have much at the time. So it looked like in order to survive, I needed to scavenge my surroundings for stuff like sticks, rocks, logs, and other such materials. Most luggage seemed to have stuff like booze, snacks, soda, medicine, and sometimes less usefully, tennis balls. Naturally, I saw if I could kill anything — and sure enough, bunnies and lizards could be killed and skinned for their meat. Sure enough, the dingy little thing could — though it seemed to take quite a few whacks. It seemed like the game would allow for a variety of things, provided you could get the right resources. This caught my eye right away, since I kind of assumed I was on an island — or at the very least a boat would provide transportation away from the strange folk who inhabited this forest. I would boot the game up again and this time I tried getting captured right away, since that part of the game seemed like it was supposed to happen. I walked until I found a water source, which excited me — maybe I could build a boat! The more time had passed, the more paranoid I became: surely, they’d show up sometime, right? Man kann sie auf der Crafting Matte herstellen, in dem man alle 4 Teile der Karte zusammenfA?gt. If you have an antivirus program, disable it and try to run this game with no other windows open. This made me feel a little better about the creepy people that were slowly circling my position. This time, however, instead of wandering around the caves slowly and nervously, I would just run straight out of there. Except the game then told me that anything beyond the edge of the water wasn’t available in this build of the game. Meanwhile, in front of me, there was a mass of water — which would probably be useful, both in that that was another area nobody could use to sneak up on me, and in that I could probably use it for resources. Whenever I saw a shrub or a small tree in the distance that I couldn’t quite make out, I would fear it was actually a gang of forest folk, just waiting for me to let my guard down. Taking on the forest people head on seemed like a bad idea; every time I did so they kind of destroyed me. Part of it is the amount of control the game afforded me; though it suggested I take a look at how to do things, it never told me where to go or what to do or build. I dont get why everyone is complaining about not being able to save cause after a few days of surviving, the cannibals all disappear anyways so until they patch that, you dont really need to save. And part of it is that I genuinely feel vulnerable, which is the mark of a good horror game if you ask me. I just sort of stood there, staring at them at a distance, scared that they were going to wait there until I got back. 15.08.2015 at 18:43:17 May have 1lb of worms, add. 15.08.2015 at 21:25:45 Uniseals, bulkhead fittings, vegetables, bell siphons, koi filters, pond pumps recycling this spring, I can't do the. 15.08.2015 at 14:52:26 In a non-steady-movement vermicomposting bin, excess the solely out, you may give your plants additional water. Biogas. 15.08.2015 at 21:24:21 Some individuals call it Vermi-aquaponics vitamins are.